Tora-san, the perpetual wanderer, winds his way to Shiretoko, a scenic peninsula in the far north of Japan. 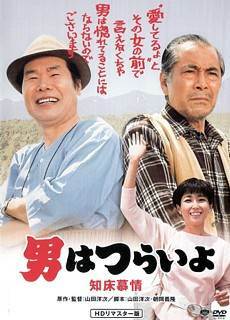 There he encounters Junkichi, an old veterinarian who is secretly in love with Etsuko, the owner of a small restaurant. The bumbling and shy Tora-san, perhaps inadvertently, again proves his extraordinary skill at healing damaged relationships.